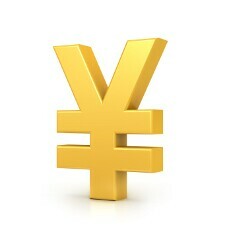 The Japanese yen is weakening midweek against its American counterpart on mixed economic data. The yen, which has lost against the greenback so far this year, is finding direction on solid services data and a reduction in business spending. This comes as many experts suggest that the fourth-quarter may actually rebound from the disappointing third-quarter. On Wednesday, the Markit/Nikkei Japan Services Purchasing Managers Index (PMI) was shown to stand at 52.3 in November, down from the six-month high of 52.4 in October. This is the 26th consecutive week that the index remained above 50 – anything above 50 indicates expansion. The composite PMI, which consists of manufacturing and services, dipped to 52.4 this month, down from 52.5 in the previous month. Analysts say business activity remains resilient as the world’s third-largest economy recovers from the string of natural disasters this past summer, which impacted factory operations and disrupted deliveries. With business spending diminishing amid declining global demand, economists forecast that the national economy likely slipped to an annualized 1.9% in July-to-September period, worse than a previous anticipation of 1.2%. Moreover, the poll predicted that capital expenditures will have stumbled 1.6% in the third quarter, the biggest quarterly drop since 2014. Investors will now look to the Cabinet Office’s revised gross domestic product (GDP) data on Monday. But Japanese traders are optimistic that a trade war with the US could be averted. After the US and China agreed to a 90-day trade truce, there are many that think trade dispute concerns between Washington and Tokyo may be overblown. The USD/JPY currency pair rose 0.41% to 113.24, from an opening of 112.78, at 18:40 GMT on Wednesday. The EUR/JPY climbed 0.41% to 128.43, from an opening of 127.92. If you have any questions, comments, or opinions regarding the Japanese Yen, feel free to post them using the commentary form below.